One of the most iconic Air Jordan 11?s is back. 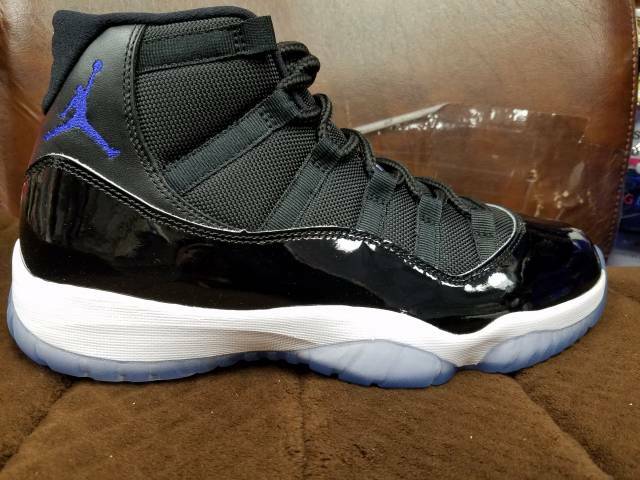 The Space Jam will be receiving a remastered original makeover similar to what Michael Jordan originally wore during the 1995 NBA Playoffs with its traditional all-Black mesh and a higher-cut patent leather upper. 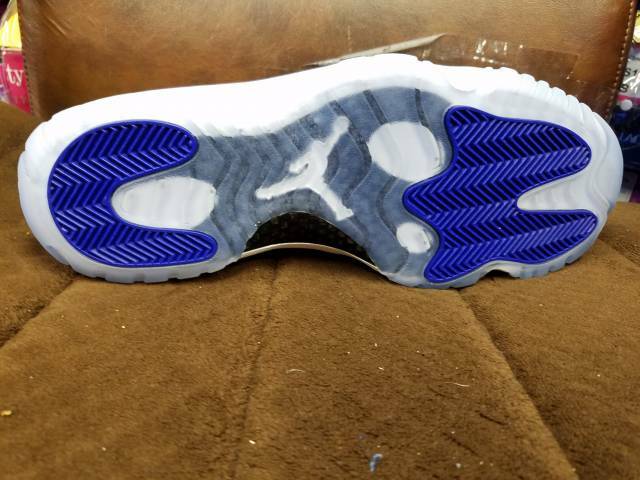 Other details include a Concord Jumpman, stitched ?45? 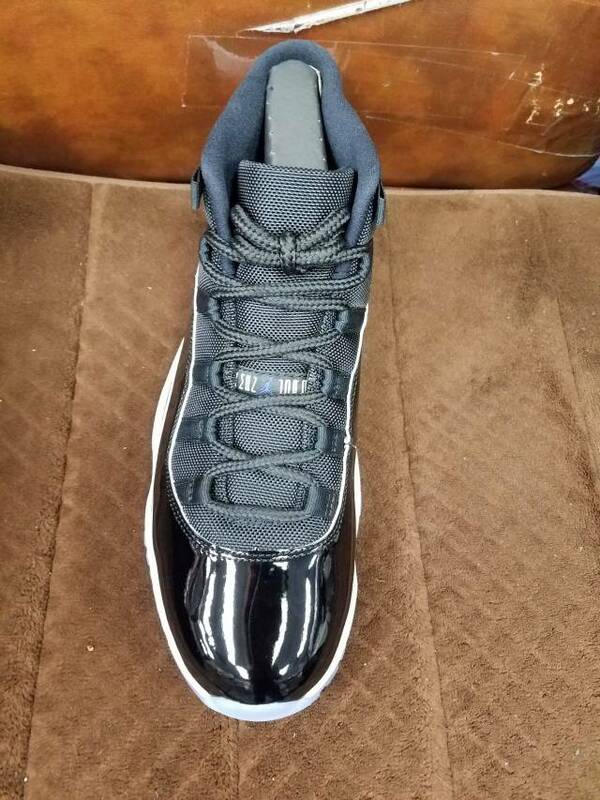 on the back heel (not ?23), Nike Air insoles, White midsole and a translucent outsole, along with the Jumpman/Jordan inscribed on the tongue tab. They?ll come housed in special edition Looney Tunes and Bugs Bunny themed box. 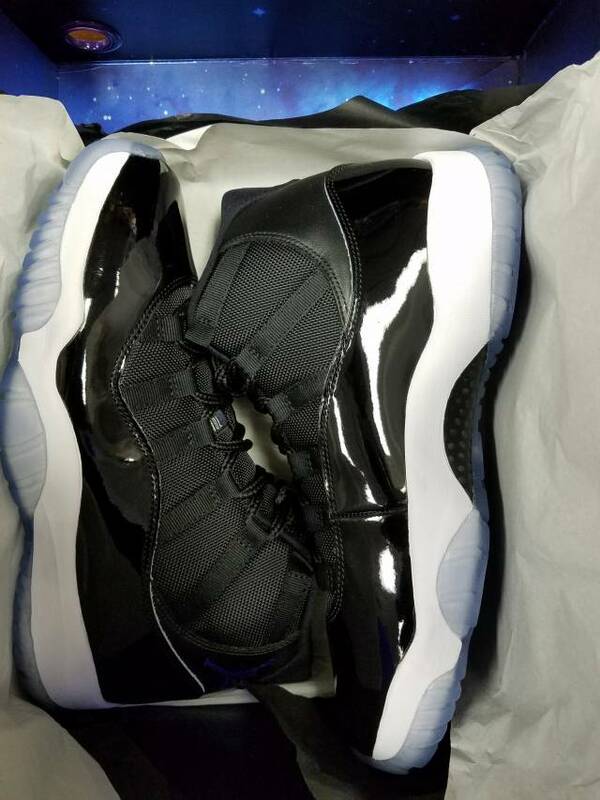 The package includes a Space Jam theme under box cover graphic, along with the number ?45? on the wrapping paper and displayed on inner of the box. There?s also a special graphic of both Bugs Bunny?s and The Monsters? arms wrapping around each-other to create the number ?23.? Finishing off the packaging design is a dot pattern ?XI? on the plastic cover.